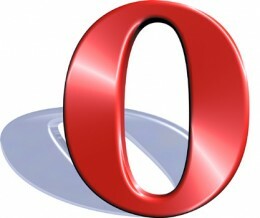 Opera is also one of the good browsers to surf the internet. However I prefer Firefox and Google chrome to surf the internet. Opera is 4 in my usage list. Also according to my websites only few people use opera. Proxy settings in opera in also very easy. Almost same as other browsers. Proxy settings requires a proxy address and it's port no. If you have proxy server address then you are ready to set the proxy in opera browser. If you don't have the latest version then download the latest version of opera that opera 11. It's clean of bugs. Let's know how to change proxy settings or configure proxy server in opera. This is very easy. Proxy settings will be changed right inside from the browser. Just follow the simple steps below and you will be able to change the proxy server address in opera. A Window opens. Now click on Advanced. Click on Network in the left hand side pane. Once you click you can enter the proxy server address and port no. in the spaces. It provides various options such as http, https, gopher,wais and some other. Put the same proxy server address and port no. in each of the spaces. Now proxy is set. Click on apply and ok.
Now try opening any blocked website such as facebook or myspace. If it opens then proxy set is working and if doesn't then you have to try another one. While selecting proxy server address keep one thing in mind that proxy should always be fast so that surfing should be good. Discover a good proxy and join some proxy groups on google and yahoo so that you should get updated proxy server address and proxy websites too.